Not to be confused with OPEC, the guys responsible for making it more expensive to operate those gas guzzlers americans love so much, dental bearings are rated by ABEC. The Annular Bearing Engineering Committee (ABEC) scale is a system for rating the manufacturing tolerances of precision bearings. 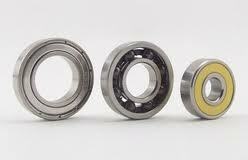 Bearings rated under this system are rated with a number from 1 to 9. 7 is acceptable. 9 is best. Anything less should not be used in a high quality dental handpiece. The higher the number, the tighter the tolerances, the more expensive the bearing. Dental bearings are some of the most highly scrutinized in the bearing industry due to their high speeds when in use, and expected exposure to the constant heating and cooling of the autoclave cycle between uses. Tolerances can be described as the distance between rotating and stationary components. Dental bearings obviously require extreme precision where this is concerned. The two types of bearing most used in the highspeed handpiece application are called angular contact and radial. These terms refer to the type of inner race, or ring. Angular contact bearings are typically preferred by handpiece manufacturers, but some applications dictate using the radial type. Dental bearings are, in most cases, stainless steel with some sort of low friction component embedded to make them resistant to failure when exposed to poor lubrication practices. The balls ride in a cage made of various materials resistant to cracking caused by exposure to the extreme conditions of the application. Phenolic and Torlon cages work especially well by absorbing lubricant for added friction resistance. 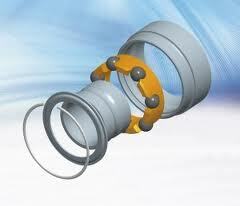 Ceramic dental bearings are also highly recommended as they hold up well against heat and friction. Ceramic sealed bearings packed in a high temperature grease are considered lube free. Star Dental has used these for years with great success. Manufacturing difficulties make ceramic bearings considerably more expensive. Timken, Barden, Myonic and New Hampshire Bearing produce very high quality bearings in our opinion, and are available to most dental equipment dealers.